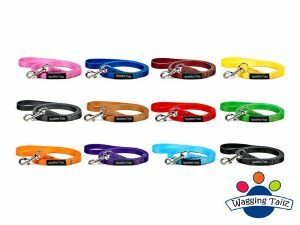 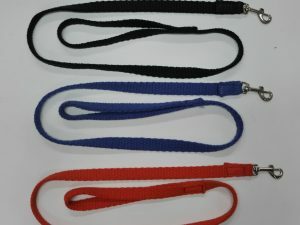 With a clip on both ends and dees along the length you can adjust the length of this lead with one clip. 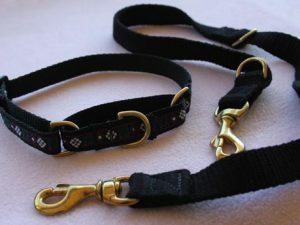 Available in 2 widths and 5 colours – $17 (16mm wide), $18 (25mm wide). 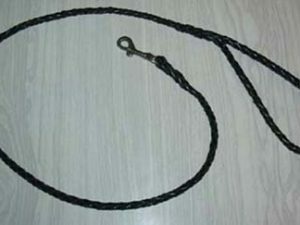 Made from mountain rope – 13mm diameter and 120cm total length. 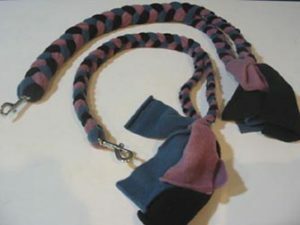 Made from mountain rope, with a clip on both ends and a number of dees alng the lead allowing you to adjust length. 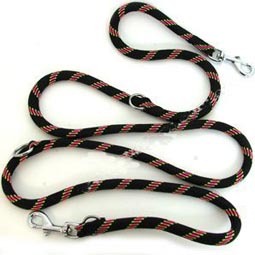 These beautiful leads are made from 8mm or 13mm diameter rolled mountain rope with a striped pattern. 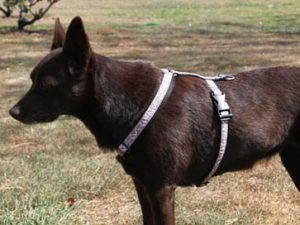 These harnesses can be used as a walking harness, for tracking or for use in the car. 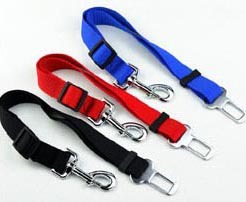 Car Harness adaptor allows you to attach your dog’s harness to the seat belt. 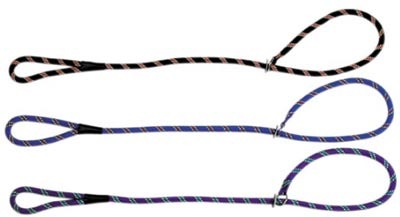 Made from a round plait of 4 strands of 4.7mm or 6mm roo hide in 3 standard lengths (or any length you want.